The United States Mission to SA hosted a #GirlsSafe Youth Media Change Expo discussion and engagement with youth to support the 16 Days of Activism against Gender-Based Violence (GBV) campaign. By PUSELETSO NTHATE. The discussions and engagements of the United States Mission to SA’s #GirlsSafe Youth Media Change Expo were to address the socio-economic challenges that make young women in South Africa vulnerable to contracting HIV and also vulnerable to being victims of GBV. The event saw at least 200 participants from disadvantaged communities in KwaZulu-Natal and Gauteng. “As we enter 16 Days of Activism against women and children. I am pleased to also see young men and it is encouraging because it means we are nurturing both boys and girls to become better future citizens so we can have a GBV-free society,” said SA National Aids Council Executive Manager, Dr Connie Kganakga. The event in Pretoria last week saw a performance by National Children’s Theatre, A short Cut to a Short Life. The play was about young women who date blessers to see a better life and escape poverty. A blesser is an older man with a lot of money dating a young woman. He provides expensive gifts and a lot of money and sometimes luxurious trips in exchange for sexual favours or for company. The play addressed the tremendous risks young women face in blesser relationships. Not only did the play illustrate the long-term negative effects of this relationship, which contributes to HIV infection rate among young women, but it helped young people reflect on positive options for future life success. Young women turn to “blessers” – older men – for lavish lifestyles and to escape poverty. The common practice is a concern because there is a higher risk of a young girls being infected with HIV as these older men rarely opt for protection. 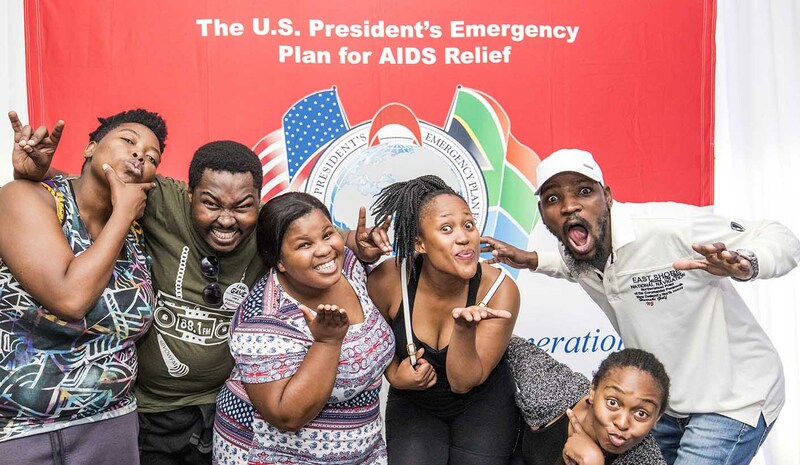 The US Embassy Charge d’Affairs, Jessica Lapenn said: “Our goal is to create an Aids-free South Africa and youth here are the next generation of South African Leadership. “We need to raise awareness about the connection between GBV and the spread of the HIV, which is impacting women and young girls in the community at the alarming rate,” she said. The #GirlsSafe Youth Media Change Makers Expo implemented, through a grant to the iSchool Press Team, launched a five-film Public Services Announcement that has been scripted, filmed, and edited by youth ambassadors. It was officially launched and they will be displayed widely until 10 December. The five short films carry strong messages. Among them were Speak out Before you Die, which encourages victims to speak and break the silence. And Speak out or it Won’t Change, where a young girl was physically abused by her controlling boyfriend. Power added that absent fathers contribute to the behaviour of blessers and youth must learn to be disciplined. Gender-Based Violence is a profound and widespread problem in South Africa, impacting on almost every aspect of life. According to Violence against Women in South Africa, A Country Crisis study published by Centre for the Study of Violence and Reconciliation (CSVR), the recorded murder rate of 24.7 per 100,000 females in South Africa is significantly higher than global levels.